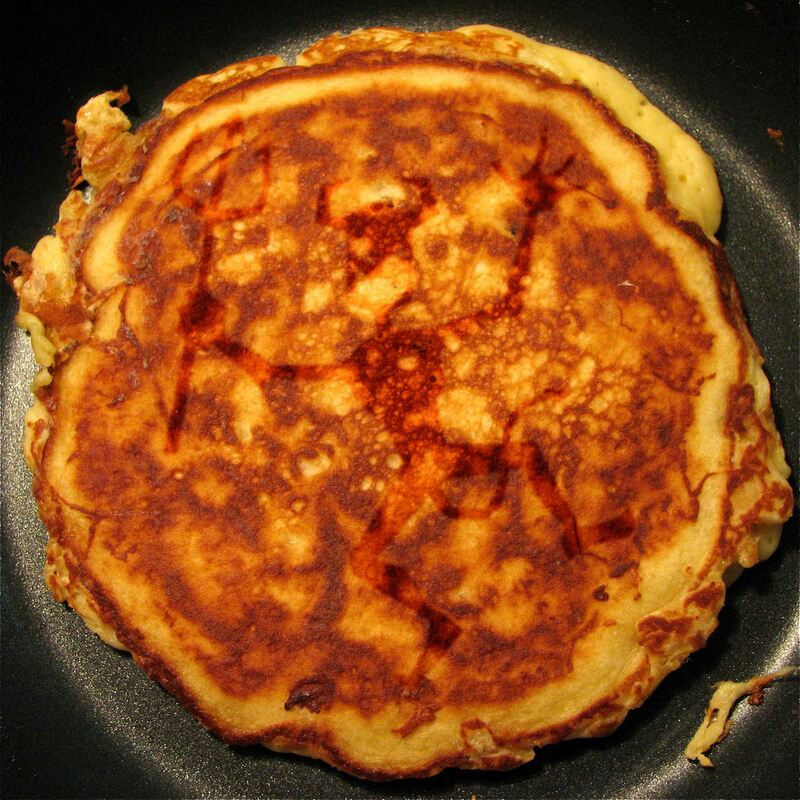 A customer at an Alabama IHOP was astonished to see an image of Satan on her morning pancake today. "I ordered my usual pancake combo and coffee and when it arrived, just before I drowned it in syrup I noticed a dancing devil on the top pancake." Doris Obermann, 57 continued, "You expect to see pictures of Jesus in your breakfast or John the Baptist shaped chips, but Beelzebub is a very rare occurrence, even for this area." It's a tail. Definately a tail. The manager of the Huntsville IHOP was unable to comment on the subjective shape that some claim could be the Lord of Darkness. "None of the staff here at IHOP are followers of Satan," he told us, "and we certainly don't sacrifice horny toads or armadillos in the kitchen area of our restaurant." Doris plans to sell the pancake on Ebay to try to make a quick buck. Bids are expected to begin at $5.99; the cost of the breakfast she had to skip.